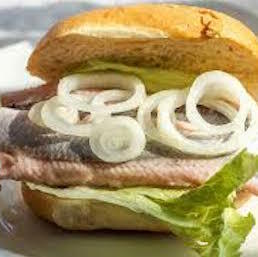 These two pickled fish recipes are easily adaptable for other fish of a similar size and nature. They can be adapted for pickled mackerel or pilchards and the liquid can be cider, pale ale or white vinegar substituted for the ordinary vinegar. Experiment with the combinations to develop these recipes to your own taste. You can ask the fishmonger to clean the fish for you or do it yourself. You'll probably buy them with the guts out but the head might be on. So cut off the heads and then descale the fish by scraping the blunt side of a knife across the scales. It makes a mess, so do it over newspaper to enable you to catch the scales or you might be finding them stuck on the counter for weeks. I like to fillet mine, take it off the bone - you'll need a sharp knife and cut in on one side of the backbone, work your blade against the bones. You'll be slow to begin with, but you'll soon speed up and your finished fillets will be much neater. Wash the fillets when you've finished. Clean and wash the fish and place them in an ovenproof dish. Add salt, pepper, bay leaves, allspice, peppercorns, vinegar and add enough water to cover the fish. Bake, covered, for about an hour. Leave in the liquor to cool before serving. 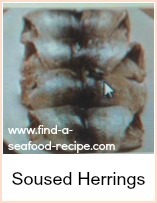 Wash the herrings and pack them into an ovenproof dish. Sprinkle over the onion, broken bay leaves, peppercorns. Add the cider and vinegar. Allow to cool in the liquor before serving. 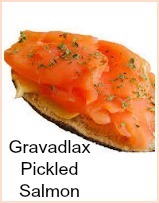 Gravad Lax - marinated salmon - click here. 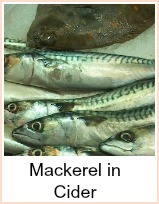 This recipe is also suitable for mackerel or trout. You need a bit of a leap of faith to make this - trust me, it's a fabulous recipe and really easy to make. 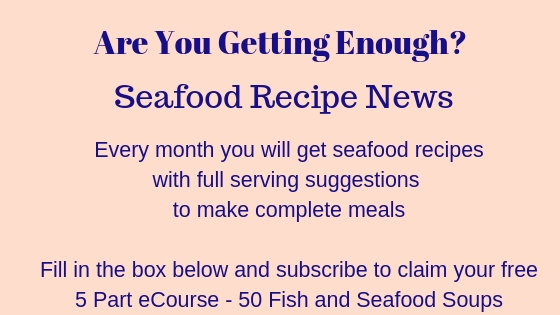 Find out how to do pickled fish recipes, mackerel, herrings and salmon.